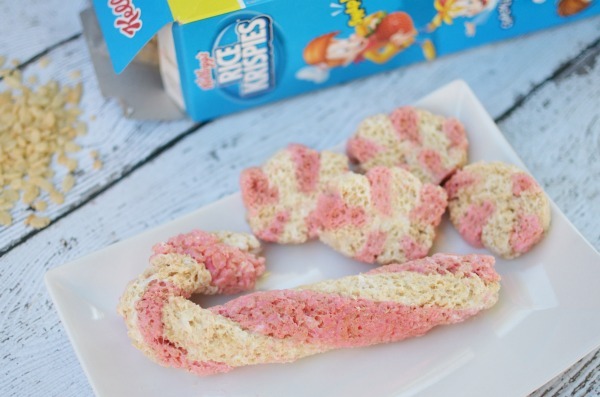 Need a fun holiday treat to make with the kids? 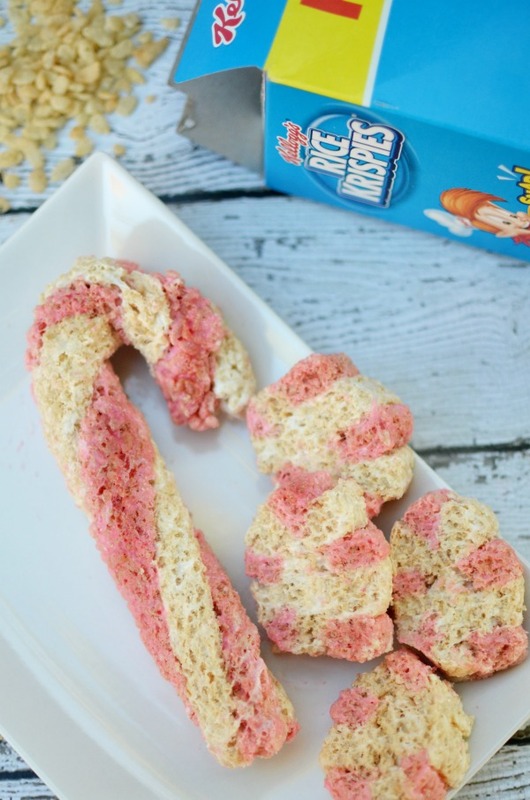 These peppermint candy Rice Krispies® treats are easy to put together and taste amazing. 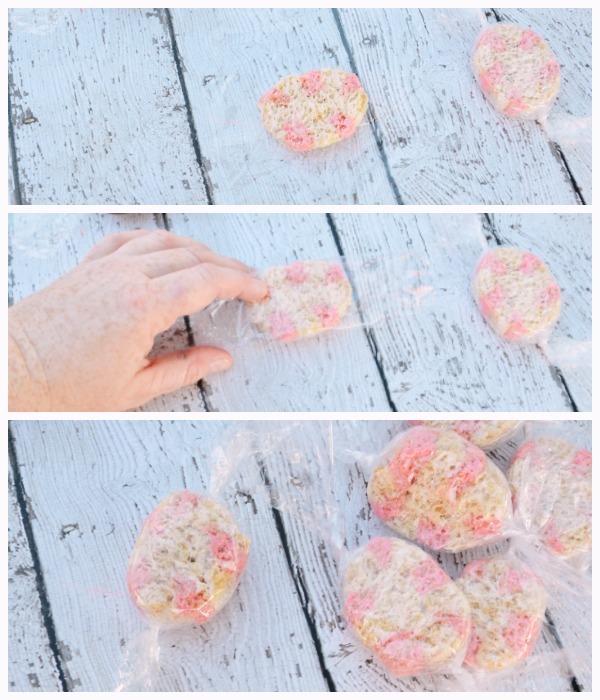 With just a simple twist on the classic Kellogg’s® Rice Krispies® treats recipe you have the perfect combination for “cookie” exchanges and gifts. The holidays are my favorite time for creating and making memories in the kitchen. I still remember baking in the kitchen with my mom and love continuing this tradition with my boys. With our favorite holiday tunes blasting we pipe out treats for gifts and enjoying throughout the season. 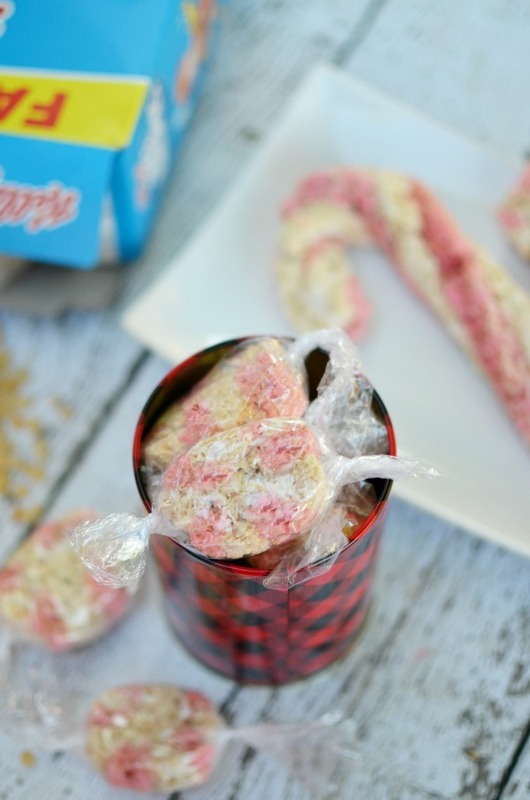 Each year we pick a new recipe to experiment with and this year peppermint Rice Krispies® Treats shaped like peppermint candy are at the top of our holiday baking list. All you need is 4 ingredients and a little food coloring to make this super cute treat. 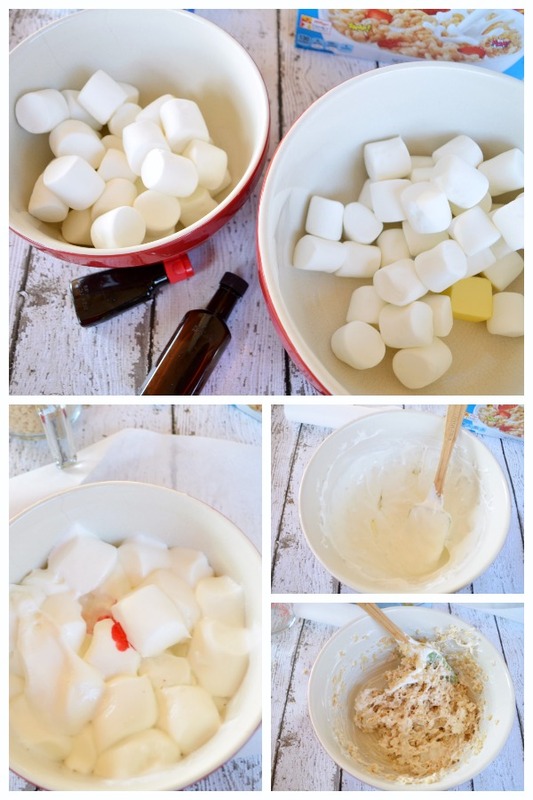 Place the marshmallows in 2 separate microwave safe bowls. Add 1 1/2 tbsp. butter to each bowl. Microwave each bowl on high until the marshmallows expand to double their size and the butter is melted (about 1 minute). Add red food coloring and peppermint extract to one bowl. Stir both marshmallow mixtures until smooth. 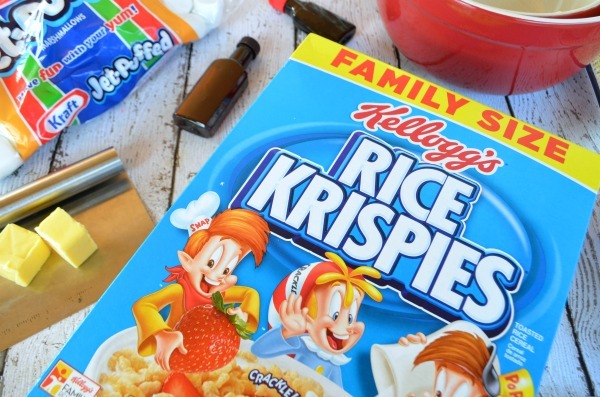 Add 2 cups Kellogg’s® Rice Krispies® to each bowl, mix. Place each mixture between pieces of parchment paper. Roll out into a square, then place in freezer until firm. 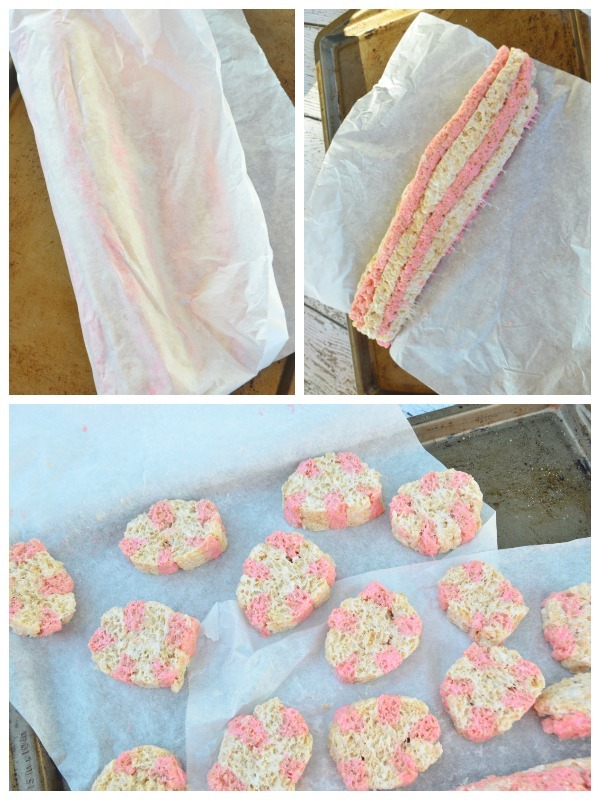 Cut a 2″ strip of plain treats and roll into a tube. 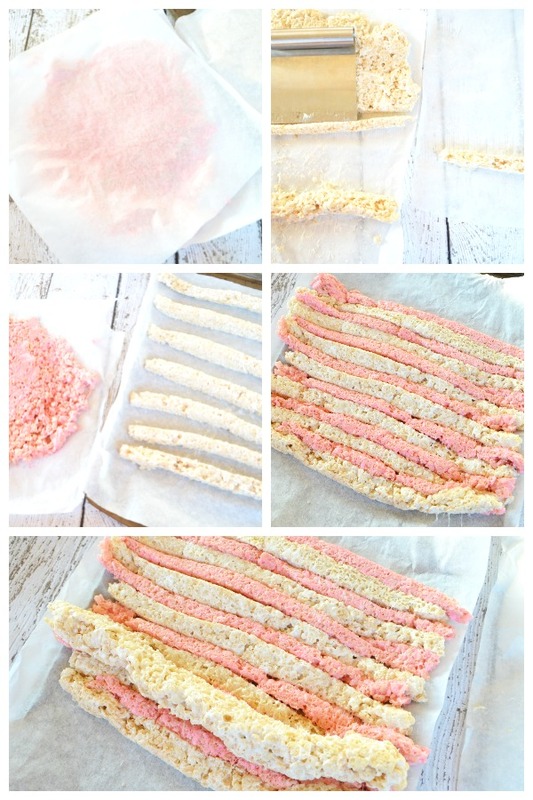 Cut 1/2″ strips of peppermint and plain Rice Krispies® treats and lay down alternating on another piece of parchment paper. Push together until they form one large piece. Place the tube of plain treats on top of the striped rectangle. Roll up using the parchment paper to help form. Keep rolling until the inner tube is completely covered. Remove any excess treats and set aside. You can use this to twist into a candy cane. Cut tube into 1″ slices. To finish, cut a piece of cellophane 2 inches wider and long enough to wrap around the peppermint candy treat with some overlap. Wrap the cellophane around each candy treat and twist the ends in opposite directions. Lay all your candies in a decorative tray or box for gifting. If this batch can survive my kids it might be headed off to my husband’s workroom for all the hardworking teachers and staff at his school. Walmart has been holiday headquarters for me this year. Carrying all my holiday needs from baking, crafting, and wrapping. 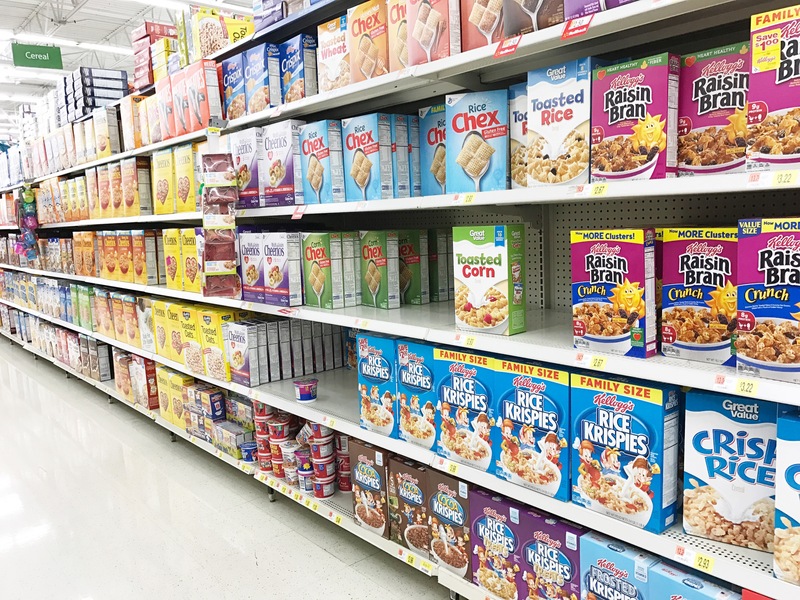 I picked up Kellogg’s® Rice Krispies® in family size along with the rest of the supplies for the peppermint candy treats. For more ideas for crafting up creative holiday treats click here.